A fine Biederemeier oval library table with foliding extensions on each side. 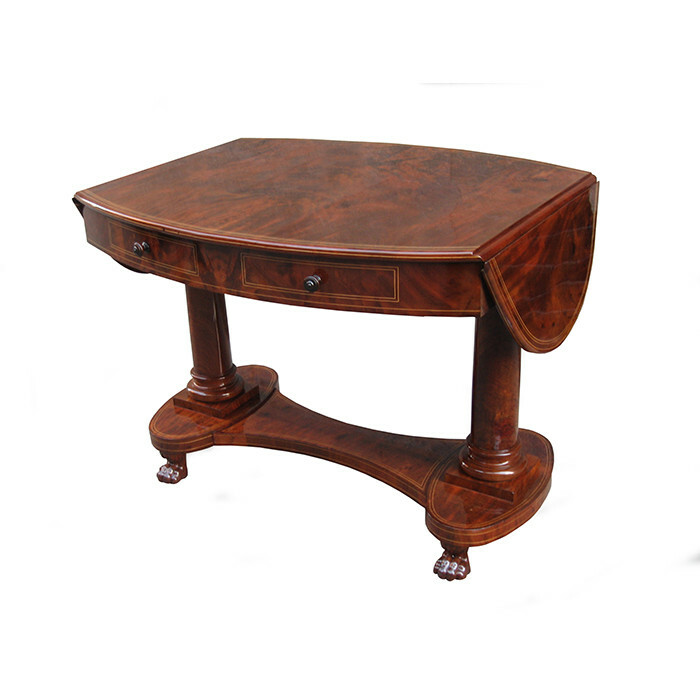 Mahogany with fruitwood inlays and fine carved paw feet details. Dimensions: H:29½ W:38¾ D:32 Inches.